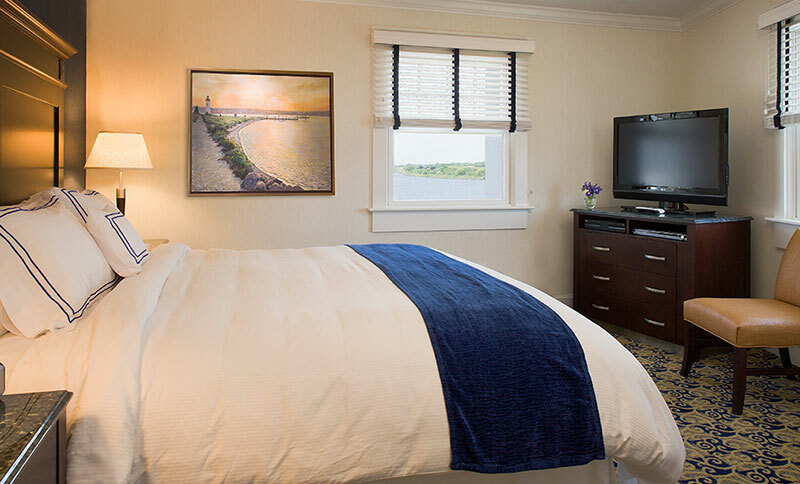 Drink in the dramatic beauty of the Rhode Island coastline from our luxurious oceanfront accommodations. Sophisticated coastal ambiance and upscale amenities create a cozy retreat just steps away from the beach. Modern comforts like complimentary Wi-Fi, flat-screen televisions, DVD players, and iPod docking stations enhance your stay. Make snacks in the kitchen, soak in the whirlpool tub or enjoy inspiring views from the Juliet balcony. 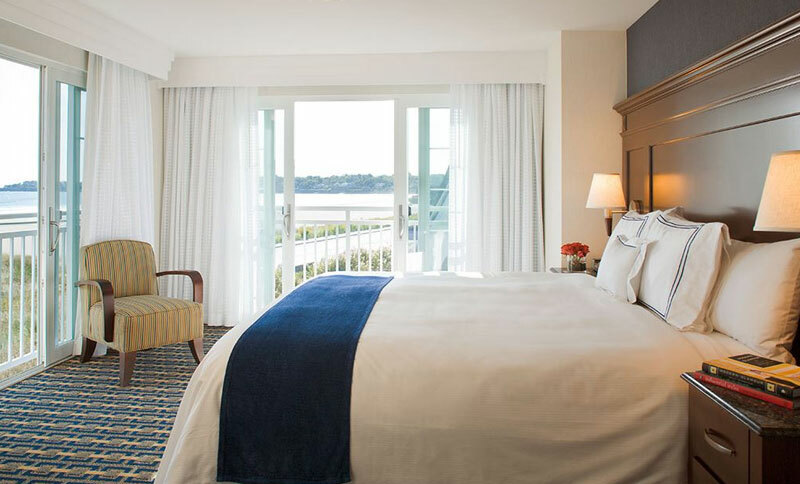 Plush beds with imported linens, oversized windows and custom furnishings invite you in to slow down and unwind in your personal seaside sanctuary. The Newport Beach Hotel & Suites is a member of Historic Hotels of America ®, the official program of the National Trust for Historic Preservation for recognizing and celebrating the finest historic hotels across America. All bedrooms offer king size beds with floor-to-ceiling windows and doors leading to Juliet balconies. Master baths with deep-soaking whirlpool tubs, imported Carrera marble floors, granite vanities with custom cabinetry, Grohe bathroom fixtures, and windows providing natural light. Living Room/Dining Areas featuring floor-to-ceiling windows and doors leading to Juliet balconies. All living rooms include sleeper sofas in our hotel's Newport accommodations. Kitchens with granite countertops, hardwood flooring, washer/dryers, stainless refrigerator, freezer, cooktop, sink, dishwasher, microwave, coffee maker, toaster, and a complete assortment of cutlery. Make yourself at home in spacious rooms featuring floor-to-ceiling windows, a plush king bed, a Juliet balcony, and a luxurious bathroom enhanced with Carrera marble and a deep whirlpool tub. The separate living area includes a flat-screen television, a washer/dryer, a full kitchen, and a sofa sleeper. Ideal for families, our two-bedroom suites feature plush king beds, Juliet balconies, and two luxurious marble bathrooms with whirlpool tubs. The separate living area includes a sofa sleeper, a flat-screen television, a DVD player, a washer/dryer, a full kitchen, and floor-to-ceiling windows. The ultimate in luxury, our corner suites entice with plush king beds, Juliet balconies and two deluxe bathrooms with whirlpool tubs. The separate living room includes a sofa sleeper, flat screen television, DVD player, a full kitchen with washer/dryer, and spectacular views from the floor-to-ceiling windows. The original Historic Building recently reopened following a multi-million dollar restoration which incorporates carefully restored interiors with luxurious furnishings and amenities. 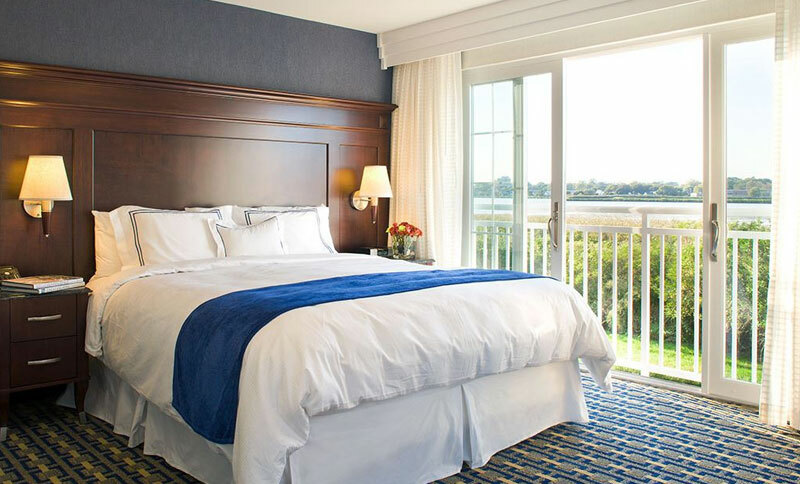 Completely redesigned guest rooms in these elegant Newport accommodations feature luxurious bedding, and a variety of room configurations. The new décor features beige and blue tones popular within contemporary New England beachside interiors. The same craftsmen who have designed furniture for Ritz Carlton, Mandarin Oriental, Wynn Hotel, and other luxury hotels designed custom furniture for our rooms with wood inlays and granite tops. Custom furniture with wood inlays and granite tops. 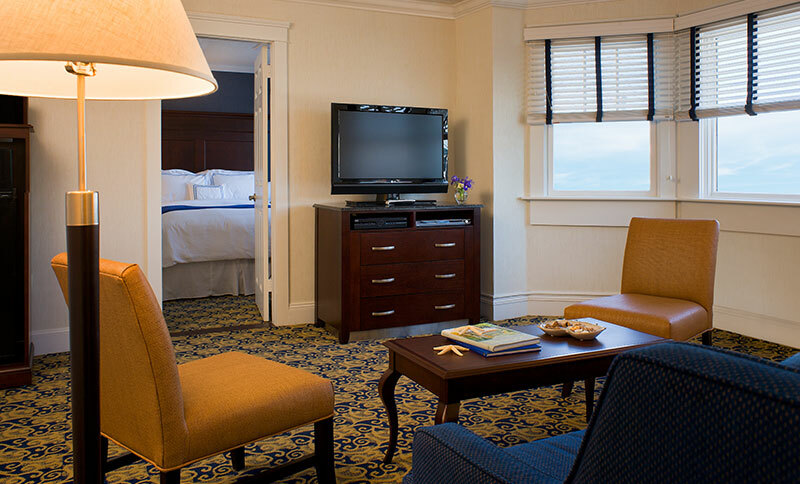 37-inch HD TV, DVD player and complimentary use of our in-house DVD library. MP3 player with iPod docking station. Luxurious bedding with imported linens, duvets and featherbeds, with your choice of plush down or fiberfill pillows. Bathrooms finished in imported Carrera marble, granite vanities with custom cabinetry, and luxury bath amenities. Refrigerator, microwave, iron & board, hair dryer, and electronic safe. In-room gourmet coffee and teas. 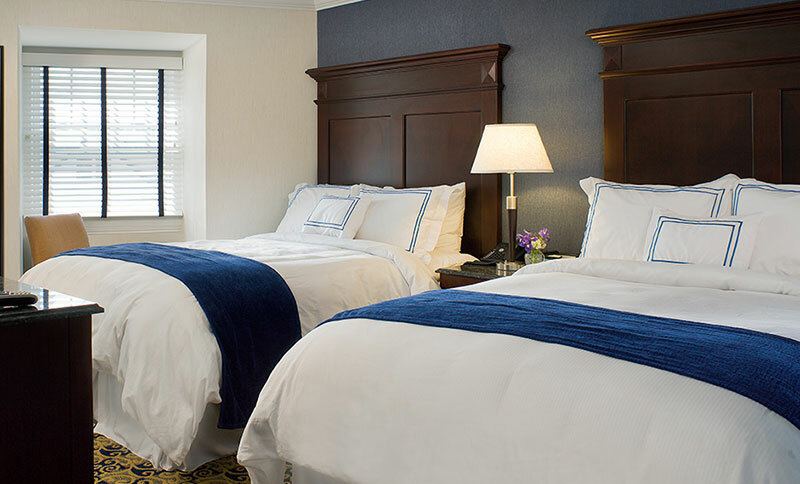 Settle in to our carefully-restored accommodations with luxurious queen beds, imported linens, custom furnishings, a refrigerator, microwave, flat-screen televisions, DVD players, and marble bathrooms all surrounded by a soothing palette of sandy beiges and cool New England blues. 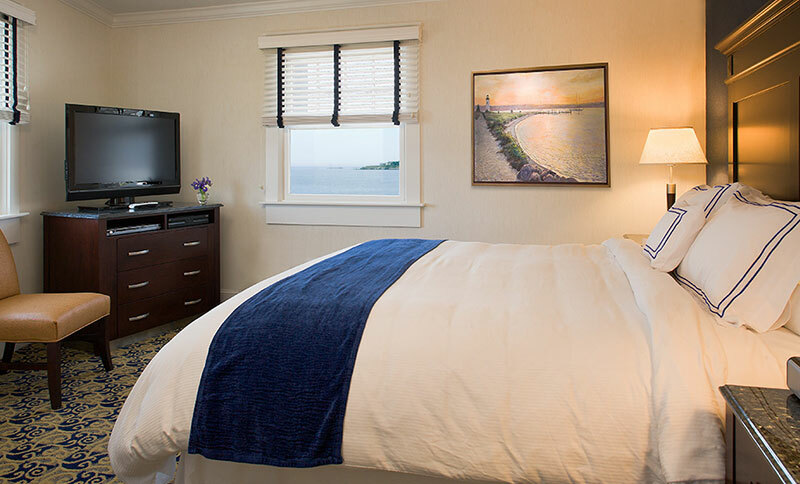 Relax in comfort with plush king beds, crisp imported linens, custom furnishings, refrigerators, microwaves, coffee makers, flat-screen televisions, DVD players, MP3 players, and luxurious marble bathrooms all enhanced by ocean breezes and the historic charm of our New England hotel. 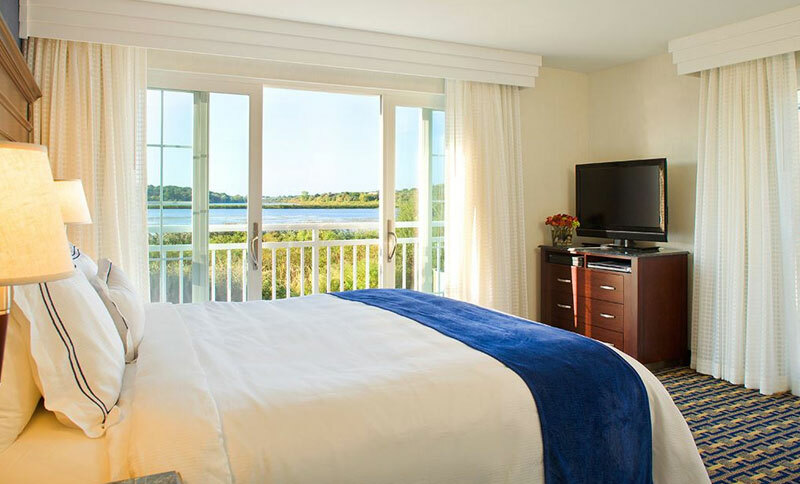 Inspired by the serenity of the sea, our king rooms beckon with luxurious beds and imported linens, custom wood furnishings, a refrigerator, microwave, flat-screen televisions, DVD players, complimentary Wi-Fi, Carrera marble bathrooms, and spectacular views of the ocean and Easton's Beach. 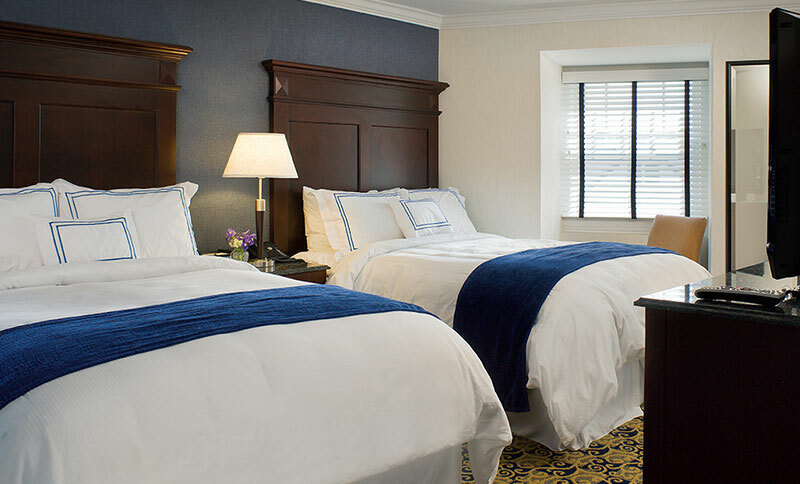 Kick back in our lovingly-restored accommodations with two plush queen beds, imported linens, custom wood and granite furnishings, flat-screen televisions, DVD players, complimentary Wi-Fi, MP3 players, and luxurious Carrera marble bathrooms. Unwind in our beautifully-restored rooms with plush queen beds, imported linens, custom wood furnishings, Carrera marble bathrooms, technology like free Wi-Fi, flat screen televisions and DVD players, and spectacular views of the beach and historic mansions - the perfect place to find seaside serenity. 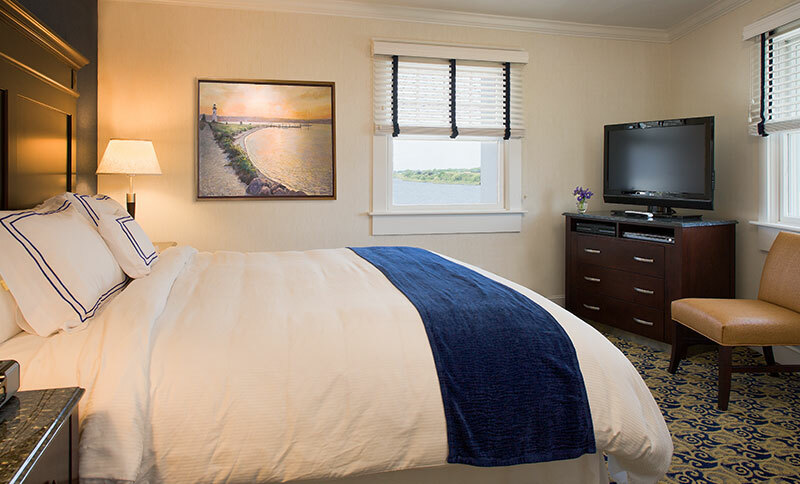 Couples and families love our two bedroom suites that include plush queen beds, imported linens, flat screen televisions, DVD players, complimentary Wi-Fi, refrigerator, microwave, custom furnishings, and stunning views. These rooms are connected by a luxurious Carrera marble bathroom. This spacious suite features two bedrooms, each with a private living room and sleeper sofa. Amenities like Carerra marble bathrooms, flat screen televisions, free Wi-Fi, and DVD players enhance your stay. 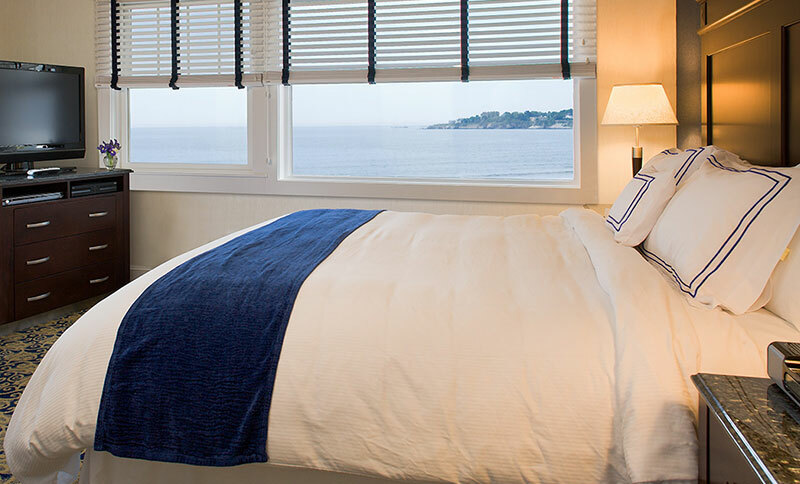 Many of these rooms boast spectacular views of the ocean and beach.